Honey HH by Wig America ~ Look like a sweetheart wearing the Honey HH by Wig America. The classic bob cut is extended down to the back of the neck. The hair falls naturally down each side of the face, framing it perfectly in the process. The straight fibers of real human hair are so soft and realistic looking. You won't help but run your fingers through the hair once you have the Honey wig in your hands. 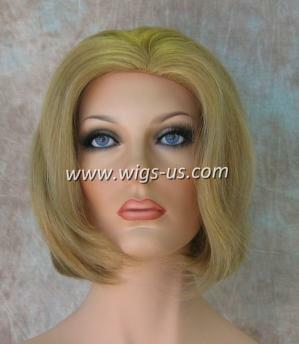 As part of the Real Collection, much care and detail were placed into the making of this beautiful wig. The monofilament front allows you to part the hair where you'd like, and create a look you can call your own. Everything about the Honey HH, from its appearance to it's feel are very natural. Set on an adjustable cap, you can custom fit the wig to your exact diameter size. Allow your scalp to breath with the lightweight material used to create this cap. With over half off the original retail price, the Honey HH is a bargain for any wig wearer. 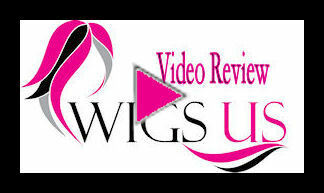 You won't find real hair wigs at prices like these anywhere else.